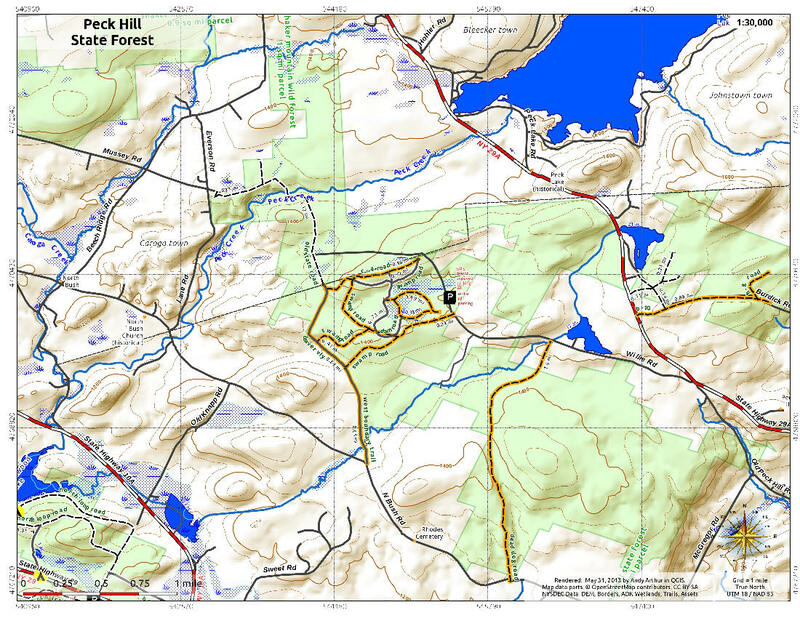 The 2868 acre Peck Hill State Forest is located in Fulton County just south of the Adirondack Blue Line between NY 10A and NY 29A. The best access to the state forest is off Willie Road, which is off NY 29A. Look below for a few pictures (coming soon) as well as a trail map courtesy of Andy Arthur from the AndyArthur.org website, which is another great resource to assist in planning your next hiking, kayaking or camping adventure.